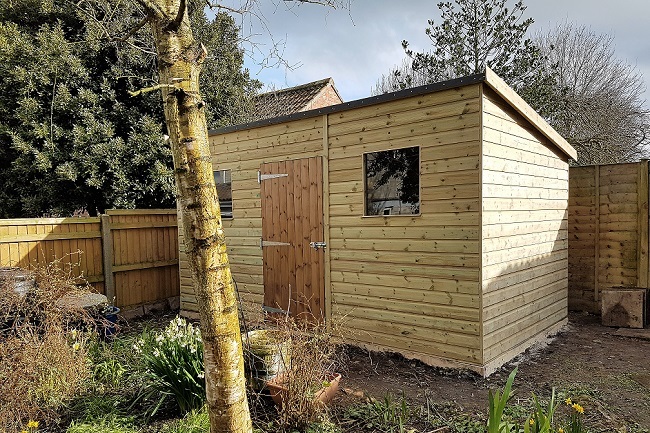 Westree Company supply and erect a selection of pre-manufactured garden sheds, along with our own bespoke build garden buildings. 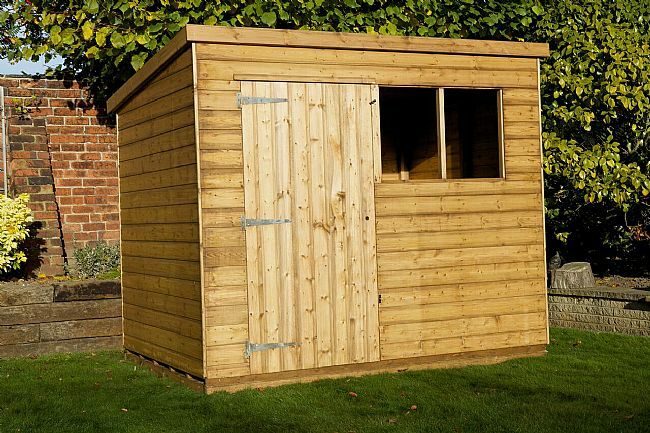 The Apex shed is a traditional looking garden shed. 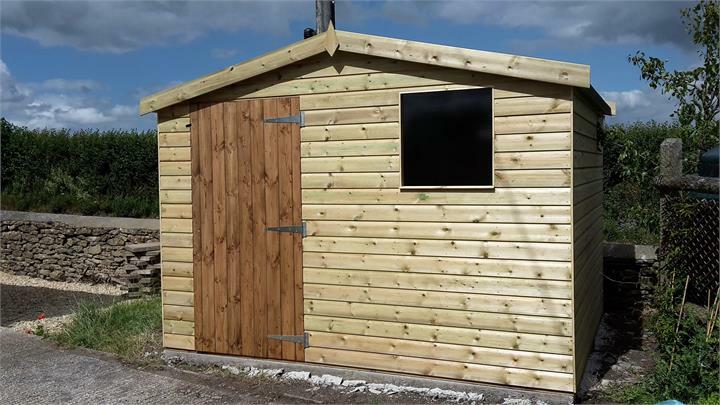 These sheds have Ship-lap cladding and are constructed on a prepared frame work. 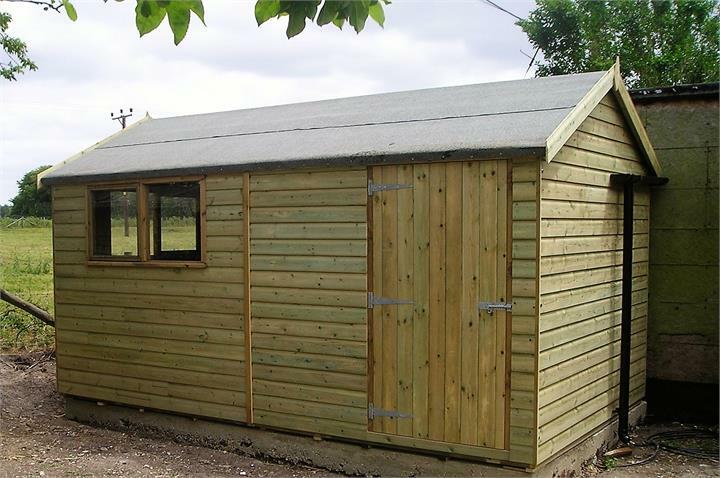 Our Sheds come complete with glass windows and green mineral felt for the roof. 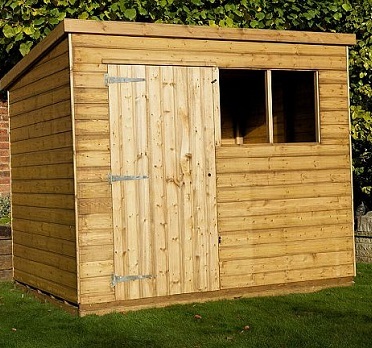 Delivery of our sheds is normally within three weeks. 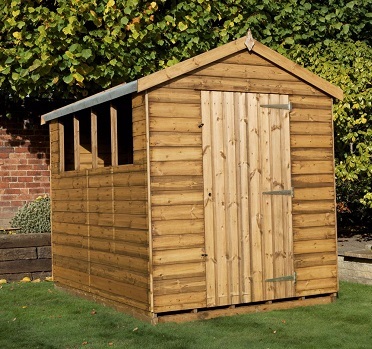 The Colby is a high quality value apex garden shed. 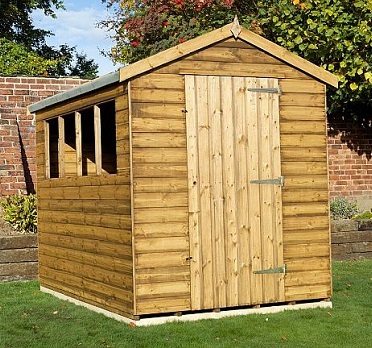 Please note this shed does not have any windows. 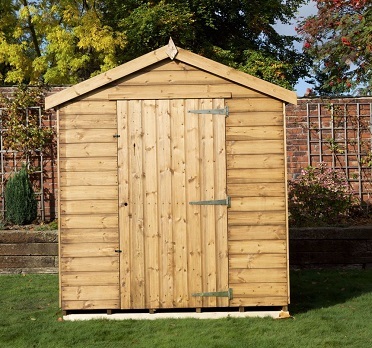 6ft x 4ft, 7ft x 5ft and 8ft x 6ft. 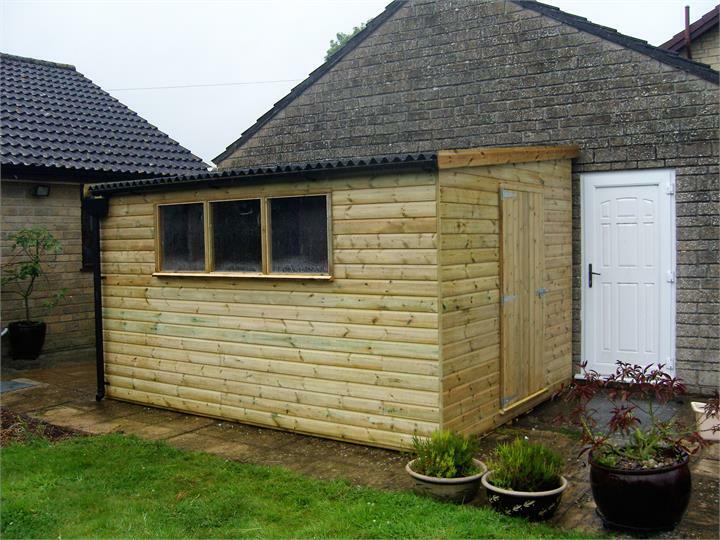 traditional looking garden shed, with windows that can be positioned on the left or right side. 6ft x 4ft, 7ft x 5ft, 8ft x 6ft, 8ft x 8ft, 10ft x 6ft, 10ft x 8ft, 12ft x 6ft, 12ft x 8ft, 14ft x 6ft and 14ft x 8ft. The Conway is simular to the Conisbro in construction and layout options, but gives more head height. 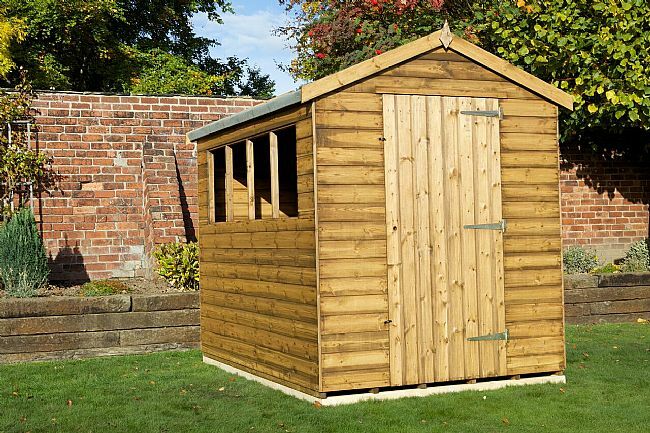 The Pent Shed is very similar in construction to the Apex Shed but it comes with a flat sloping roof. 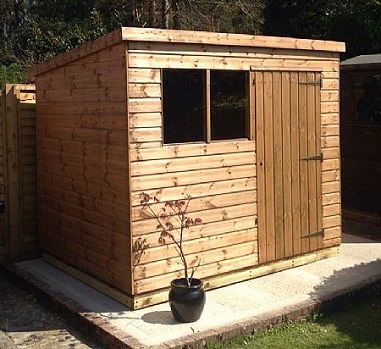 With a pent roof you get good height clearance all round maximising storage space. 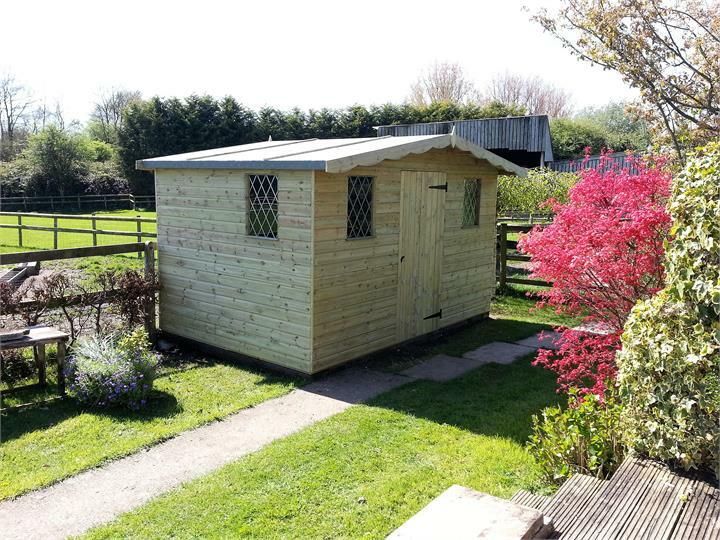 Our Sheds come complete with glass windows and green mineral felt for the roof. 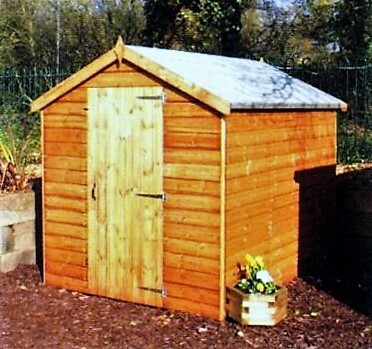 Delivery of our sheds is normally within three weeks. 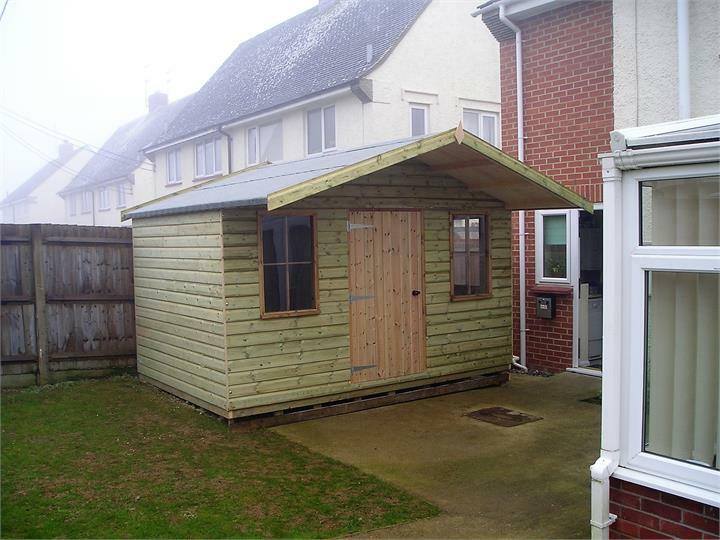 The Sandal is a very popular single sloping roof garden shed, available in five different layouts. Very similar to the popular Sandal but giving more head height, also available in five different layouts. 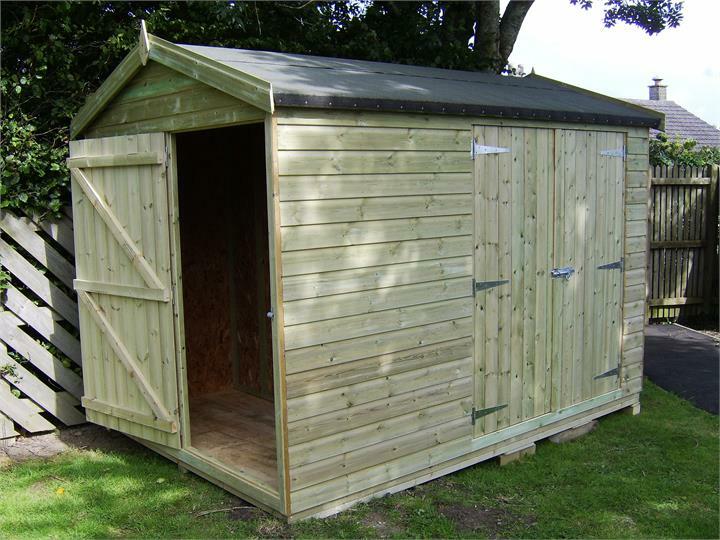 Here are some examples of our quality timber garden sheds.